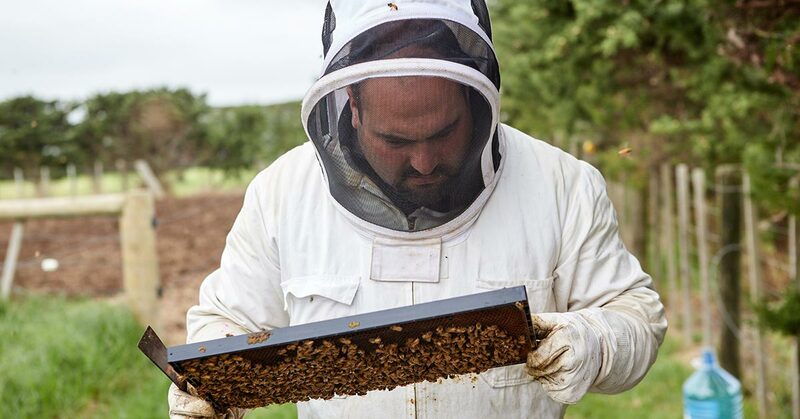 This full-time conjoint programme includes the New Zealand Certificate in Apiculture (Level 3) and New Zealand Certificate in Agriculture (Vehicles, Machinery and Infrastructure) (Level 3). You can study for two qualifications in one year, to gain a really strong grounding in all things agricultural. Demand for pollination services also continues to increase with NZ’s primary industry dependent on the pollination of fruit and crops for its survival. If you have ever wanted to have your own beehive or want to work in the apiculture industry then this programme is for you. You’ll learn all the fundamentals of beekeeping, as well as how to manipulate hives and implement disease control measures. You’ll be able to transport hives safely and establish them in new sites. You'll learn the essentials of using and maintaining agricultural vehicles and machinery in the workplace. You'll learn how to use machinery efficiently and within health and safety requirements. You'll also understand how to identify workplace hazards, and manage them effectively. The programme will give you plenty of practice in activities which require the use of farm vehicles and machines. Aim: To introduce students to current apiculture industry regulations, the fundamentals of beekeeping, and equipment required for working with a beehive. Aim: To provide students with the knowledge and skills required to establish, manage and manipulate bee colonies including honey extraction. Aim: To provide students with the fundamental skills and knowledge to correctly identify beehive diseases, pests, and disorders as part of a disease management plan. Aim: To provide students with the basic practical skills and knowledge to control and/or eliminate beehive diseases, pests, and disorders as part of a disease management plan. Aim: To enable students to operate and maintain agricultural infrastructure following health and safety requirements.